16 players have emerged victorious from their Challenger matches, and head into Premier League to face off against the illustrious RO16 players from last season. The groups have been drawn, and now all that is left to do is draft your Fantasy players! This will be no simple task, with the results from WCS America already adding to the profusion of upsets we have seen in 2014. Before you draft, learn more about ESL Fantasy points here. Group A: How cruel is Golden’s rule? Golden emerged from his retirement in style last season, when he made a deep run into the tournament and finished in the top four. His opponents may have overlooked him then, but the Korean Zerg player is back with a vengeance, and has proved that he isn’t to be underestimated. In a group full of fair to middling foreigners, he is probably your best bet for your draft. It looks as though the remaining three players will have to battle it out for second place in the group. The potential for upset points in the group are low. Both Dayshi and KrasS have dropped in and out of Premier League since the start of 2013, but neither have really made a huge impact in the tournament. This leaves Nerchio, who has yet to show the same prowess he had in Wings of Liberty. Despite his lack of imposing tournament results, he has the edge over the other two players in the race for second place. Group B: Can Snute uproot StarDust? Defending champion StartDust will be the obvious pick for this group. 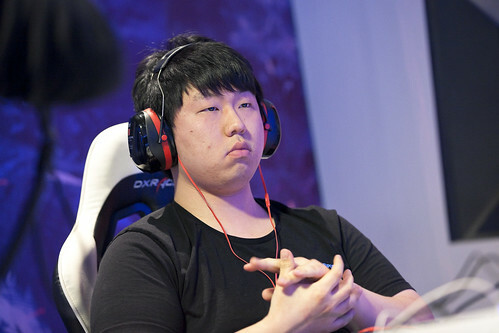 In his last three Premier League runs, he has yet to fail to make it to the playoffs, and thus advancing to the RO16 should be painless for the Protoss. With a 65% win rate or more in all his matchups, StarDust should have a strong showing against the other Protoss and Zergs in his group. StarDust does have his off days, though, as demonstrated recently at Gfinity G3 where he failed to make it out of the group stage, losing to Bunny and DeMusliM. Snute is possibly the only person in Group B who might be able to beat the current champion to the top spot. Whether or not you should risk your Fantasy points on it is debatable, as there are no upset points to be won if you vie for the Norwegian Zerg player. Despite being one of the best non-Korean players out there, people were surprised when he made it out of his group at Intel Extreme Masters Shenzhen over TRUE and Stork. It will therefore not be out of the question to cause another upset against a top Korean player once again. You would really have to go out on a limb for upset points in this group. Both Patience and Miniraser have only competed in Premier League once before, and neither have advanced past the RO32. However, as we have so plainly seen this year, anything can happen on the day, so drafting Patience or Miniraser might only be statistically imprudent. Group C comprises three Koreans and German player ShoWTimE, who will try and keep the foreigner flame alive as he battles some tough competition. He has caused some upsets in the past, winning both his matches against Mvp in the group stage in season three of WCS last year, and could possibly do so again. There is a potential for upset points in ShoWTimE, but it will most certainly be an uphill battle for the Protoss to bag a win on his home turf. The player to draft for this group is much less clear cut than in others. First is the only one of the remaining players to make it into the playoffs last season, and so would be a solid pick. He suffered some bitter losses at the beginning of this year when he failed to make it into the Challenger matches from the Ladder Wildcard qualifier. However, he seems to have recovered from this incident, and has made a successful transition from Korea to Europe. MMA and Yoda are somewhat similar in the sense that they are both on their path to redemption. 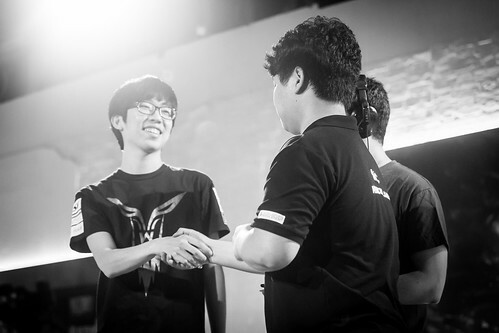 Admittedly MMA’s glory days are not so long gone, having come in second place in the first season of WCS 2014. Yoda, on the other hand hasn’t had a big tournament win since the Intel Extreme Master Season 8 World Championship, and so has a lot more to prove. Having failed to make it to RO16 last season, there is a lot of potential for upset points if you draft MMA, who is currently on the cusp of qualifying for BlizzCon, standing in 18th place in the WCS ranking right now. This group is the only one void of any Koreans, and as a result two foreigners are guaranteed to advance to the RO16! Even if this weren’t the case, Welmu would be likely to advance anyway. 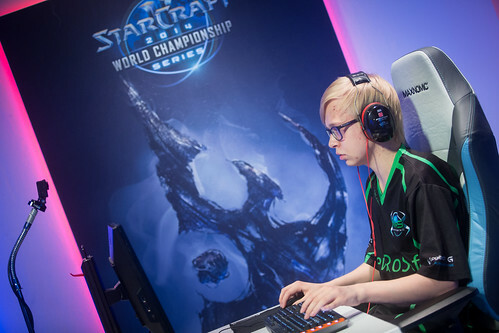 Since his breakthrough performance in season two of WCS 2013, the Finnish Protoss player has been a mainstay in the competition, having taken out some of the biggest names. Having only failed to make it to the playoffs once in his past four WCS runs, Welmu is the strong favorite in Group D.
TLO presents a good opportunity to amass some upset points. It is likely he will be chasing second place after Welmu. However, he has a wealth more tournament experience than the other two players, which should play in his favor. 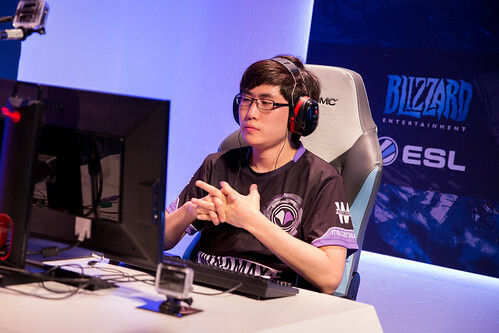 Although he hasn’t had any truly impressive results for a while, his constant attendance at WCS events means he is currently 33rd in the WCS ranking, so making a deep run into this tournament might propel him to a BlizzCon qualification. LiveZerg and uThermal make up the rest of the group, and although they are both good players, Welmu or TLO seem like much better picks for your draft. As LiveZerg made it into the RO16 last season, it might be foolhardy to choose him over Welmu. The Russian player should not be overlooked as he beat MMA and ForGG in order to advance. The same goes for uThermal, where TLO would just be a much better pick if you’re going for upset points. This will be the Terran’s second time competing in Premier League, and so far we haven’t seen anything extraordinary from him. 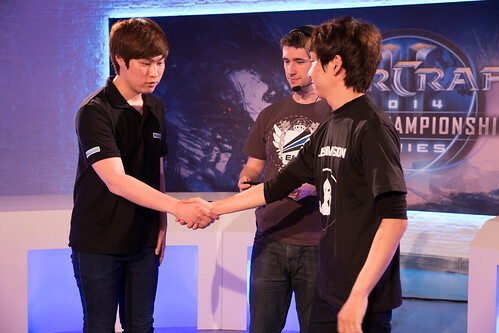 Group E: Can jjakji make a comeback? VortiX is a frontrunner in the group, and alongside Welmu is one of the most consistent foreigner players to date. He has only once failed to make it into the RO8 of WCS at the beginning of 2013, but since then has a linchpin in the playoffs. The Spanish Zerg has yet to make it into the semifinals in 2014, and will need a strong performance if he is going to qualify for BlizzCon. Despite this, he’s still the most reliable player to draft in Group E.
At the beginning of the year, jjakji looked like another player who had made the transition from Korea to Europe and was about to start his reign of terror. He finished in the top four in season one, as well as gathering a host of respectable finishes at Intel Extreme Masters stops. However, he seems to have a hit a brick wall, and went from a top four finish to failing to make it into the RO16 last season. If he is to recover from his recent slump, he might be one to pick for the upset points. However, it might be a small risk, especially as his first match is against Harstem, to whom he lost to in last season’s group stage. 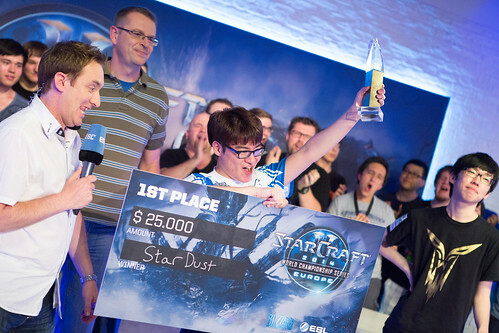 Harstem is a foreigner on the rise, and caused a huge upset last season by making it into the RO16. He had failed to qualify for Challenger matches twice last year, and so no one had high hopes for the Protoss when he finally made his breakthrough performance last season. He pulled off a double upset when he beat jjakji and Bunny. VortiX is still probably the safer bet out of the two players, as we are yet to see whether Harstem’s success last season was a one-off. Finally we have Kas, who has dropped in and out of Premier League since the beginning of 2013. He’s never made it into the RO16, and with some tough competitors in his group it is looking unlikely that he will do so in 2014. 2014 has been treating San extremely well, with a top four finish in season one of WCS and coming in second place last season. His success in WCS alongside a win at ASUS ROG Winter has bagged him over 4,000 WCS points, pretty much guaranteeing him a spot at BlizzCon. San is a glaringly obvious draft for some easy Fantasy points! There’s some upset potential to be found in Bunny, who only just missed out on the RO16 spot last season. He is the second-best foreigner in the WCS ranking behind Snute, mainly thanks to his win at Gfinity G3, where he went 4-2 against Hyun in the final. After his win against Hyun, he may even be able to beat San to first spot in the group. This leaves us with ToD and MorroW, and again whether you’re gunning for upset points or not, San and Bunny are just much better choices. ToD finally made it into the RO16 last season, but did not advance any further than that. He struggles in PvT, winning only 40% of his matches against Terrans this year, which is unfortunate as he will face off against Bunny in his first match. MorroW will be making his debut performance in Premier League after finally making it out of his Challenger matches. It would be an understatement to say that ForGG is an erratic player. 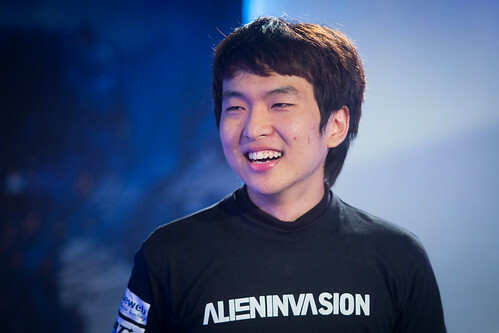 In the spring of last year, he looked as though he would be an unstoppable force in the upcoming WCS seasons. However, he’s been on a rollercoaster ride since then. A top four finish in last season’s WCS should normally warrant a confident draft for a player, but with ForGG it all seems to be up in the air. On a good day, ForGG can go toe-to-toe with the top players in the world, and on others he might be knocked out by someone who is firmly second rate. The rest of the group is made up of old school foreigners: MaNa, Bly and BlinG. Although they have all been around in the competitive scene for a long time, no one really expects them to be able to go up against the top Koreans like Snute or VortiX might be able to. None of them have had any notable tournament finishes for quite a while, which begs the question of who to pick in this group. We have ForGG, who is decidedly inconsistent, and three foreigners who might be past their prime. Just by looking at past tournament results, either ForGG or MaNa might be the best picks for this group, but this is by no means clear cut. Group H: Can anyone beat the Boss Toss to the top spot? 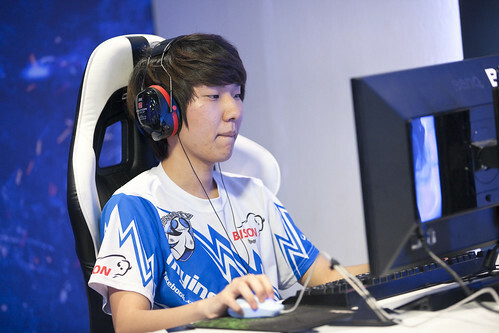 MC is the current frontrunner in the WCS ranking, and has almost become synonymous with competitive StarCraft II. He is one of the only players to have sustained their success from 2011 (with a few bumps in the road, of course). MC has been runner-up in WCS twice now, has taken the title once, and is looking to add another big result to his ever-growing list of accolades. It would certainly be ill-advised to bet against MC in WCS, especially when he has proved time and time again that WCS Europe is his turf. Fan favourite Grubby is looking like a strong contender for second place in this group. He has been a familiar face in WCS Europe, although he hasn’t had an eminent result since he finished in the top four in WCS 2013 season two. Grubby has had a quieter year than usual, having not competed in any other WCS-affiliated event. Happy is another player who is no stranger to WCS Europe, having competed in every Premier League so far. He can definitely give Grubby a run for his money, sporting an impressive 66% win rate against Protoss this year. There may be some upset points up for grabs if you choose to draft Happy, but MC is still likely to yield more Fantasy points. This being this case, it would be extremely ill-considered to choose Serral for your Group H player as this will be his first time in WCS Europe. We have seen newcomers go on to win the WCS title before, but there is nothing to suggest that Serral will do so. Now that you’re up to speed on all the players in the RO32, make sure you pick your players over at ESL Fantasy before the draft locks! WCS Europe will kick off on the 19th of August at 18:00 CEST - watch all the games here! Make your WCS Fantasy team now!